HomeResource CentreHow much does photocopier leasing cost? Photocopier leases are a popular alternative to buying photocopiers outright. Modern offices appreciate the flexibility that comes with a rental. Leases can last for as little as twelve months before an office decides to move on with a different model or extend the lease with the same one. The need for an office photocopier can change drastically, just like the size of a modern office. With flexibility and a low photocopier leasing cost, rentals can provide a short or long-term printing solution for workspaces. So before you purchase a new office photocopier, think about the advantages of a rental. Photocopier leasing costs can be significantly lower than an outright purchase. Your office can still enjoy the benefits of a new photocopier, without the high costs usually associated with one. Need a new photocopier rental for your office? Call [phone] and ask the experts at Copysonic today. The photocopier leasing cost for a new model can be quite low. A minimum two-year rental with Copysonic can set your office back as little as $100 per month. With low upfront costs, a rental is an easy option that won't instantly drain a large sum of money from your office budget. Over time, a rental can end up costing you more than purchasing a brand new model. However, there are certain advantages to having a rental. Office equipment evolves so fast that it's likely a model can become almost obsolete in less than five years. A photocopier rental will give you instant access to market-leading technology. The alternative is waiting between five to ten years until your current photocopier purchase breaks down before you purchase a new one. Selling or disposing of an old model isn't as simple as you might think. It's also worth considering how your photocopier leasing cost factors into getting a replacement. If your office owns it own photocopier, you'll need to spend additional funds on taking care of disposal or resale. If you're renting a model through Copysonic, the disposal and replacement of your photocopier rental is taken care of. What affects the cost of your rental? There are many factors that can affect the photocopier leasing cost of your new model. One of them is a service agreement. The maintenance of your rental can be taken care of with a Copysonic service agreement. While it may seem like a more expensive option, a service agreement is a great way to ensure your photocopier is kept in great working condition. You'll pay the same consistent rate each month which ensures your photocopier is paid for, no matter what happens to it. Without a lease agreement, unexpected payments may arise if something goes wrong with your photocopier. With a service agreement, there are no additional photocopier leasing costs involved. No matter what component of your photocopier breaks down, the cost will be covered by a service agreement. The cost of refilling your photocopier can also be covered under a service agreement. Depending on your office's usage, the photocopier leasing cost for refills can vary. Copysonic provides an estimate based on your office's prints per month along with the percentage of colour to black and white prints. With monthly payments, your photocopier leasing cost is easier to budget for. You'll pay the same rate each month. With a pre-determined cost, it will make it easier for your business to preserve credit and keep up with your competitors, without breaking your bottom line. For over 25 years, Copysonic has provided great printing solutions to offices all over Melbourne. All Copysonic staff have a comprehensive knowledge of photocopiers and printers. They'll help you make an informed decision when it's time for you to choose a new office photocopier. Our staff are always upfront with the photocopier leasing cost of every model. With an honest breakdown of all costs involved, it's never been easier to budget for a new photocopier. 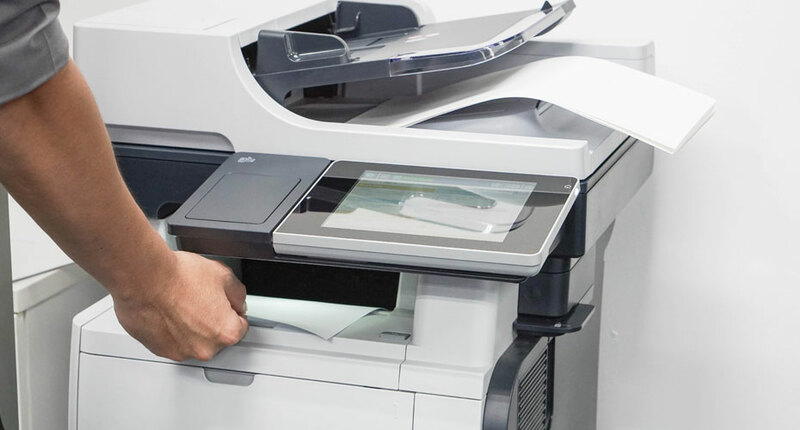 A short photocopier lease will always enable your office to update your office model and keep up to date with the latest in office printing technology.